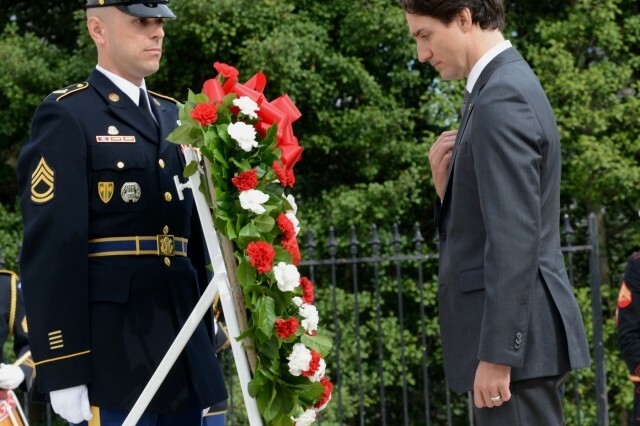 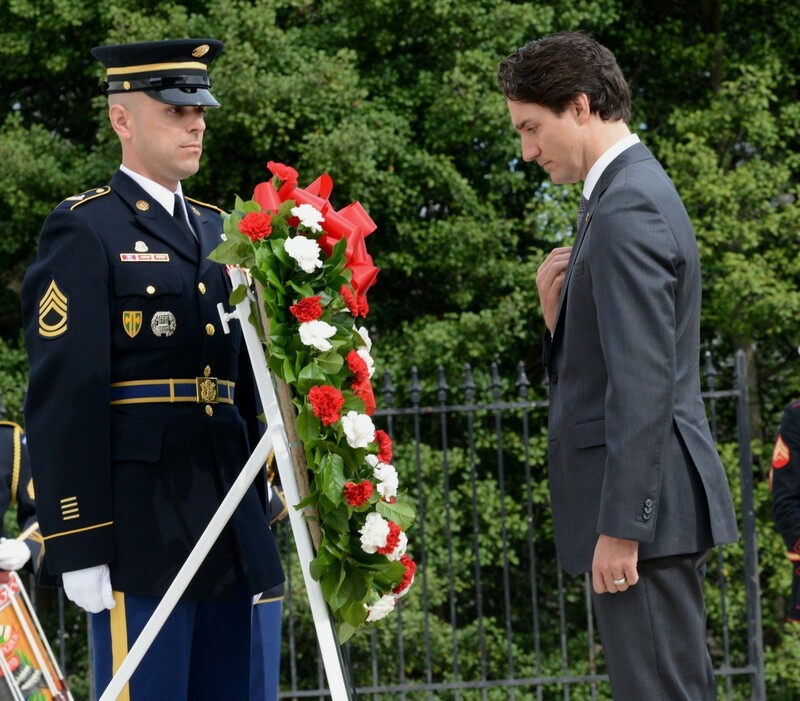 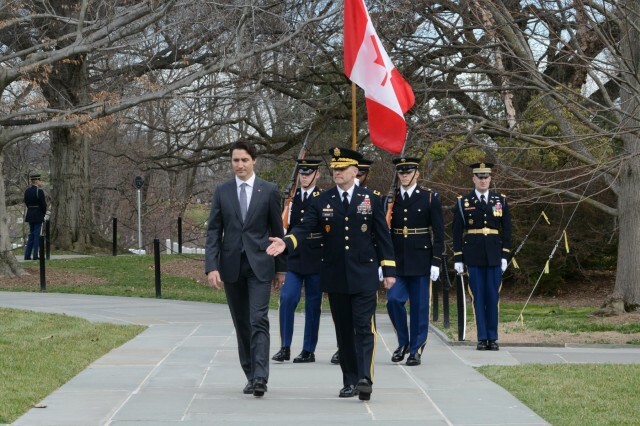 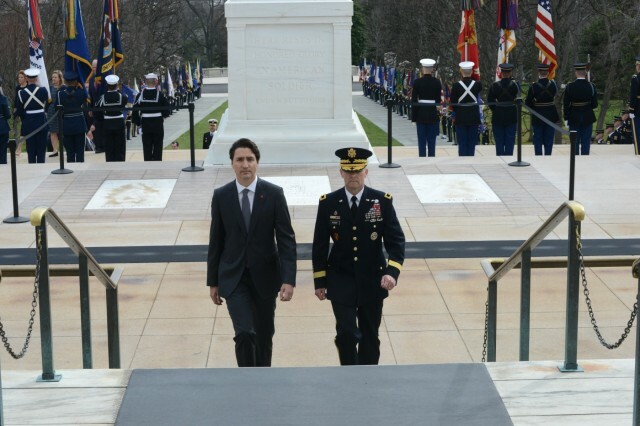 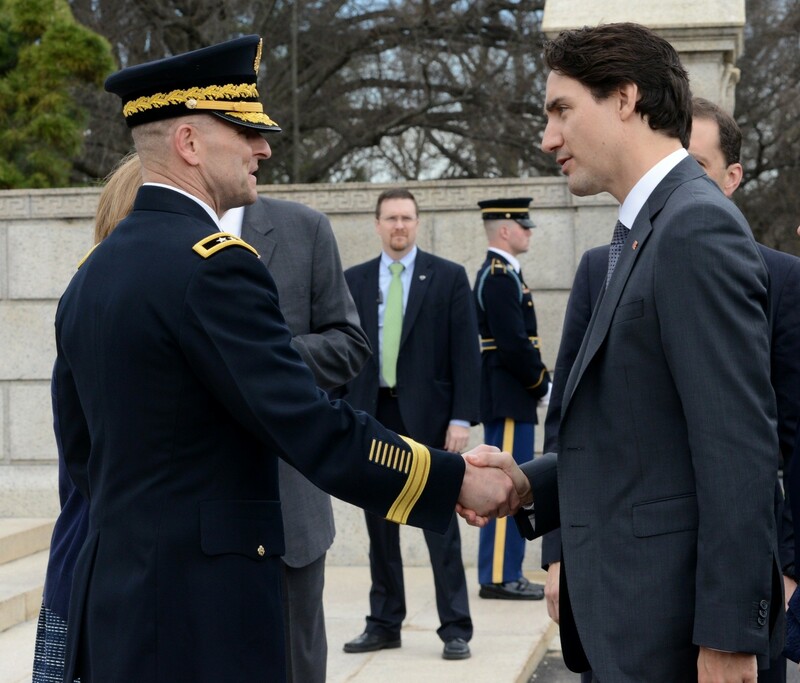 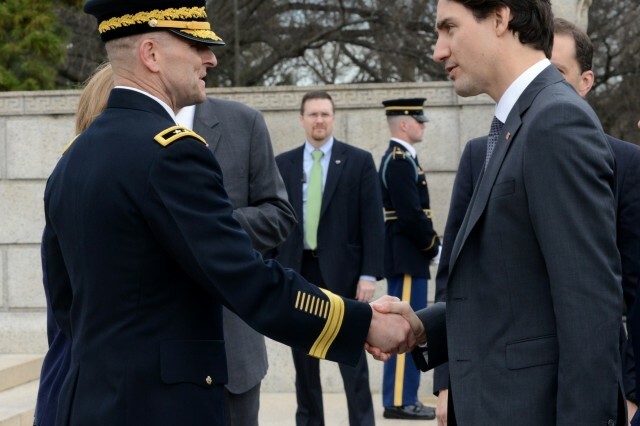 Justin Trudeau, prime minister of Canada, participated in an Armed Forces Full Honors Wreath-Laying Ceremony with Maj. Gen. Bradley A. Becker, U.S. Army Military District of Washington commanding general, to honor America's fallen at the Tomb of the Unknown Soldier at Arlington National Cemetery, Va. March 11, 2016. 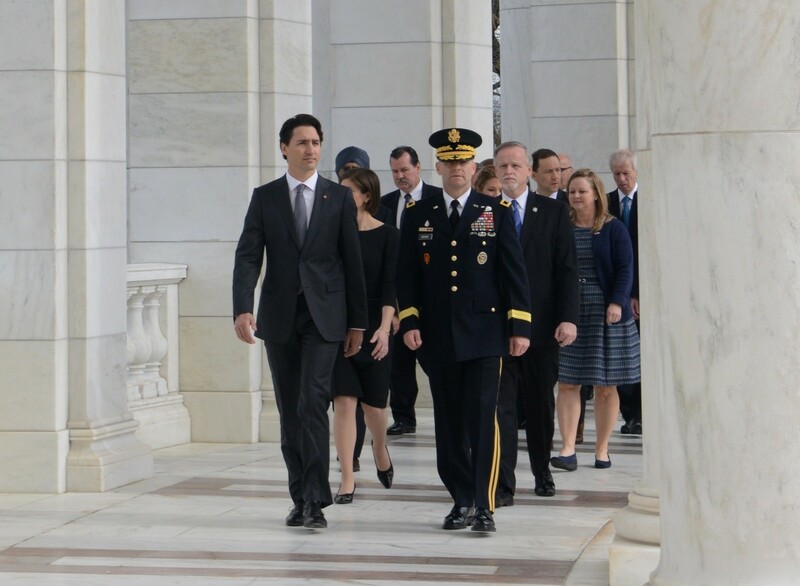 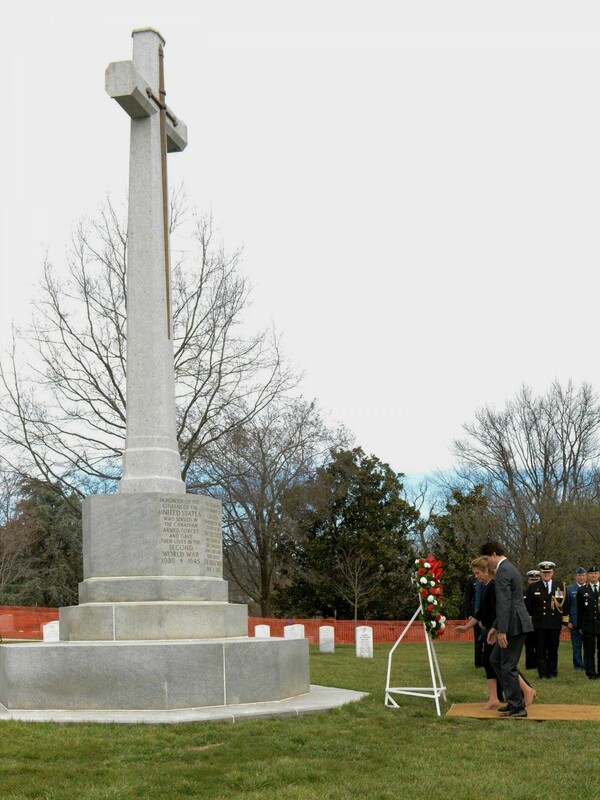 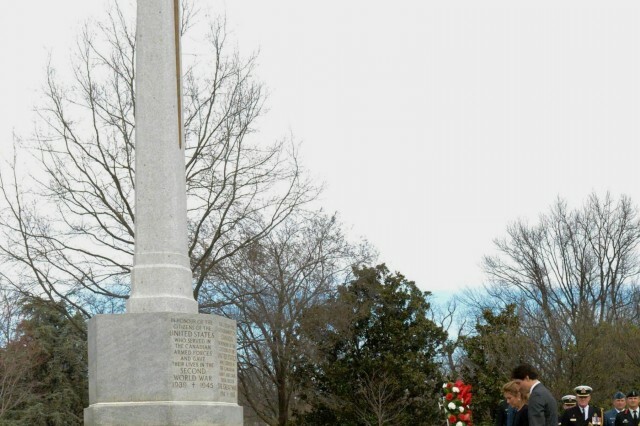 Following the wreath laying ceremony, Trudeau visited the Canadian Cross of Sacrifice monument where he laid another wreath in honor of the bonds of goodwill and friendship that the U.S. and Canada share. The memorial is dedicated to honor citizens of the U.S. who served in the Canadian Armed Forces and gave their lives in World Wars I and II, and the Korean War. 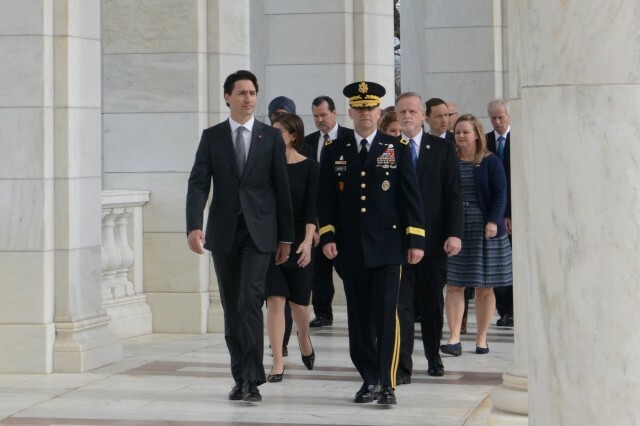 Trudeau, and his wife Sophie Grégoire-Trudeau, met with President Barack Obama and his wife Michelle Obama, to deepen the United States and Canada bilateral relationship, which is one of the closest and most extensive in the world and is based on a shared history, common values, and a vast and intricate network of cultural, familial, and commercial ties. 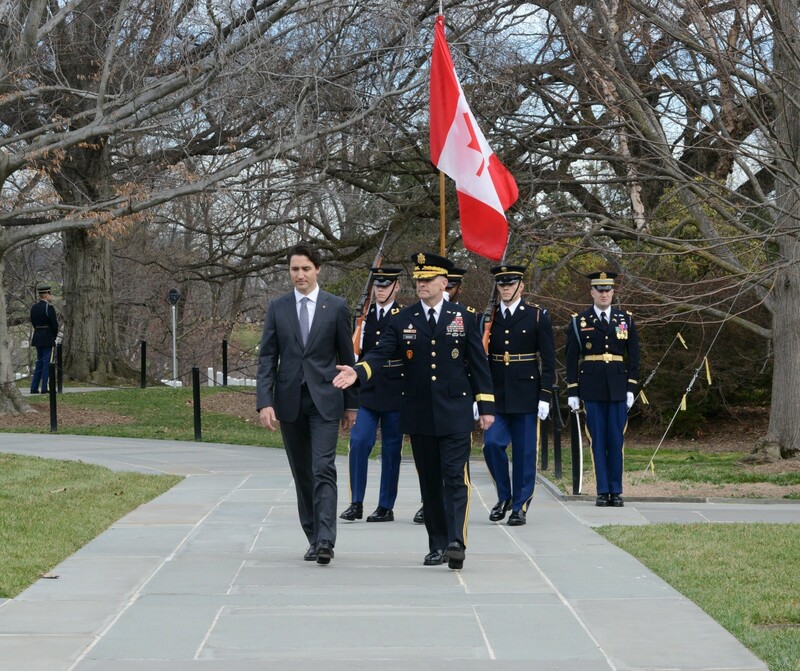 The visit also is intended to advance cooperation on important bilateral and multilateral issues, such as energy and climate change, security, and the economy.